Jacob, it has been a while since we last caught up, what’s been happening? Are there still some specific influences who are helping to define your style and technique? Or are you focussing on developing a sense of independence? 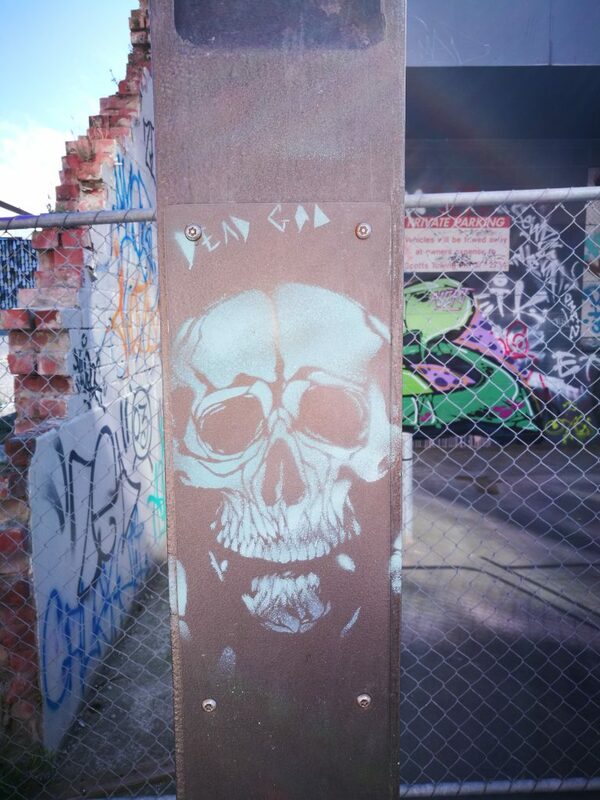 I guess most stencil artists, as they develop, need to reconcile the balance between process and imagery. Is one more prominent than the other for you? I think just finding an image and seeing if I can change it into my own style is quite cool. I am adding more of my own details to the stencil image, like adding flowers and things like that to the hair, trying to find a different way so it doesn’t look like every other stencil artist’s work. With that said, is there anyone whose work you really admire? 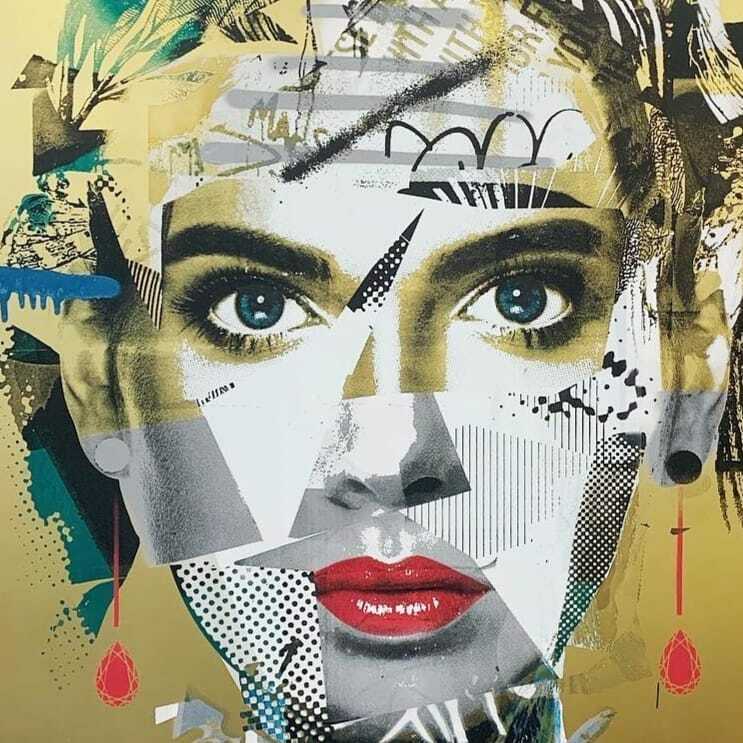 Tristan Eaton is a good reference actually, as he shifts between smaller scale studio work and his large-scale murals. 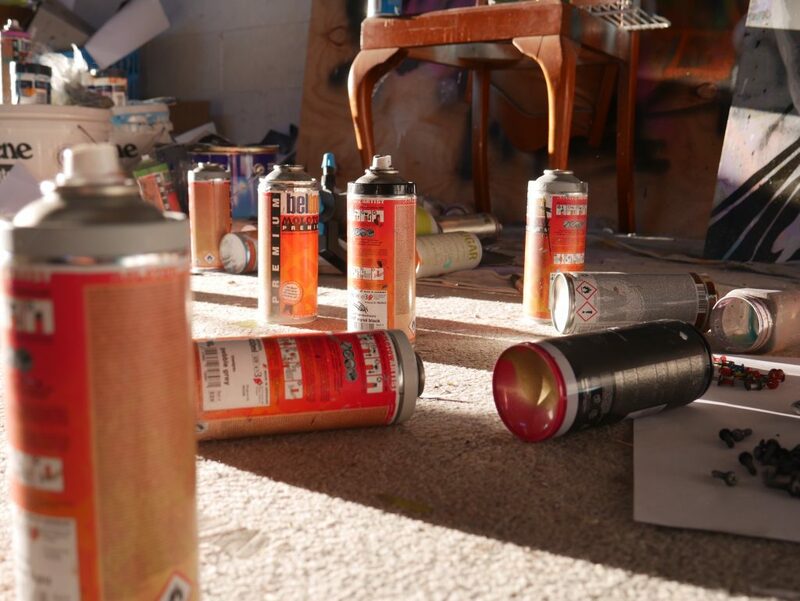 Having spent a fair amount of your time in a studio space recently, are you finding that as a prefered site to explore and define your style, or are wall works and murals still a chance to push your work and experiment with new ideas as well? 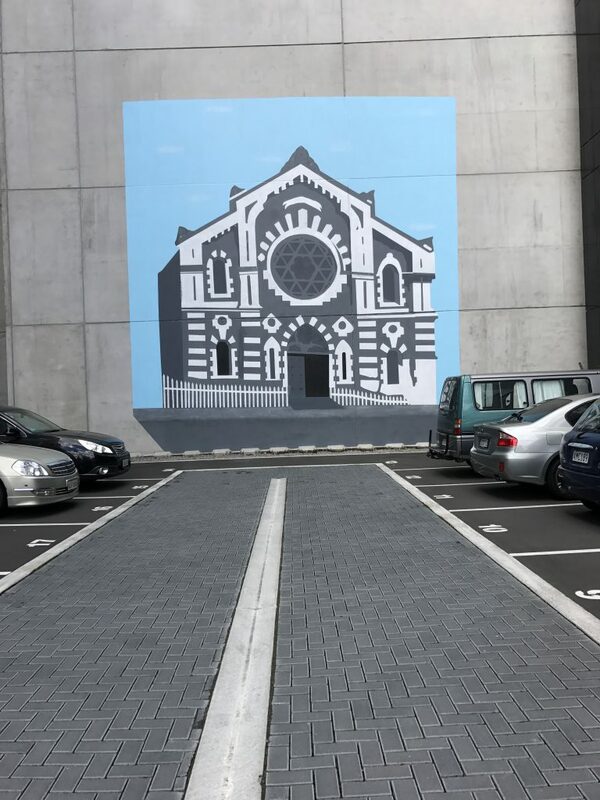 What mural works have you completed recently? 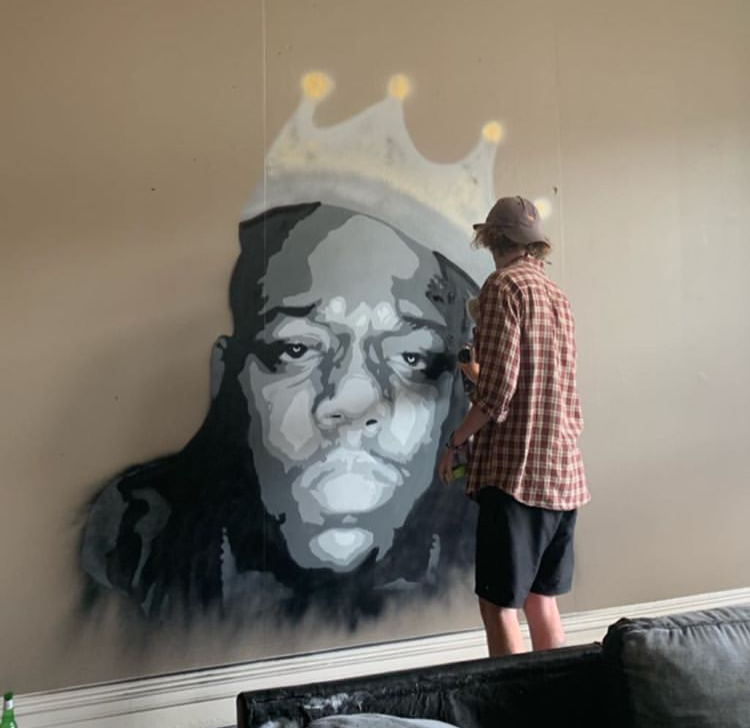 Your mural works have progressively gotten larger, especially from the smaller Chorus boxes you painted early on, what has that process been like? Do you want to explore the potential to go even bigger? You have had works in group shows, at places like The Welder and CoCA, did you have to sit down and think about what a solo show might say as a body of work, as opposed to a singular contribution to something? I’ve kind of been thinking about how to take my art to the next level, and I thought a solo show would be a good way to go about it because with group shows, most of the people who are going to them are looking at the top artists, they didn’t really come for my work. With this show, people are coming to see my work, which is pretty cool. That raises the question around promotion and how you go about getting your name and this show in particular, out there. How have you found that side of it? 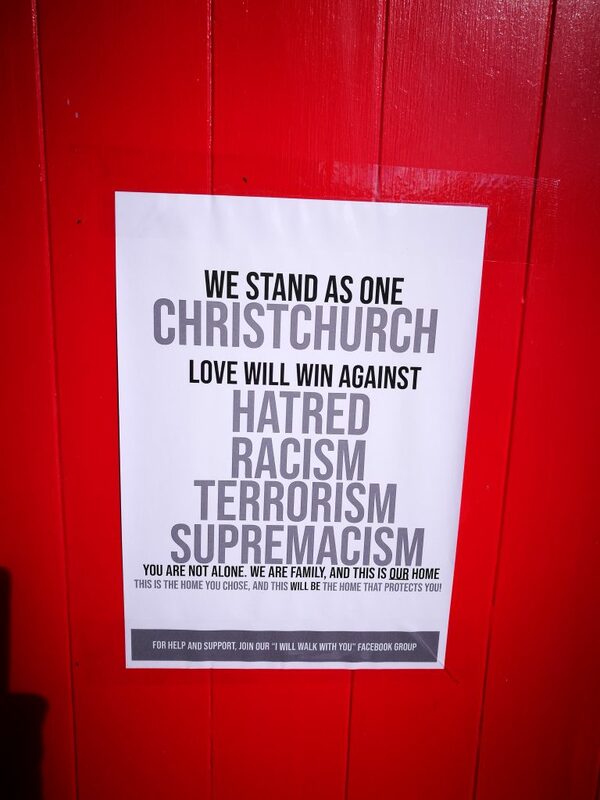 I’ve been making posters and posting everywhere on social media, getting friends to put them up all over the place, things like that. My family and friends have been helping out a lot as well, telling their friends and their friends’ friends about it, which has been pretty cool. It’s been a pretty fun journey so far. I saw the short teaser video that went online, it looked great. How was that experience of putting that together? Did it take a bit of time to get used to being told to do things for the camera? Yeah, it was different being told what do, just sitting there, clinking cans together and stuff, it was pretty funny. But I quite liked how it turned out. I’m definitely keen to do more of that. So, will that video become something bigger, or was it just a teaser for the show? At the moment it is just a teaser, but we are looking into doing a longer ‘short film’ in the future. Is there a discernible theme to Distranged? Is it an exploration of certain images, or is it an exploration of your style? It’s kind of both; it’s an exploration of my style along with images of celebrities. 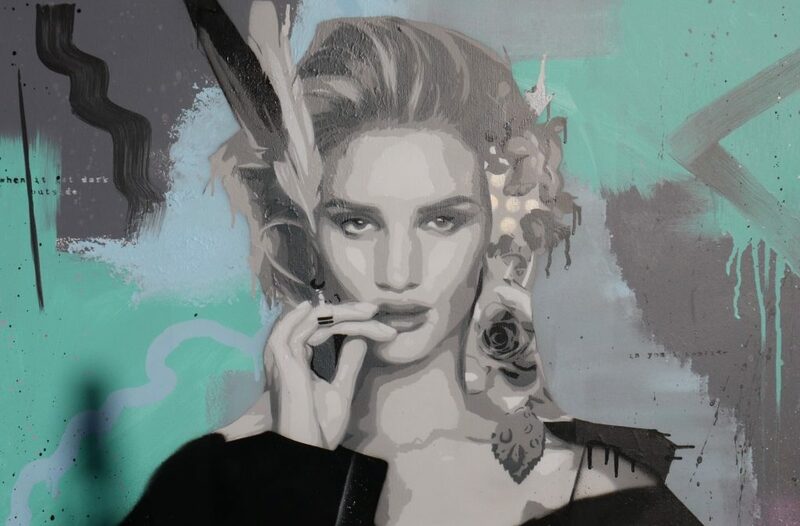 I enjoy painting celebrities, mainly female celebrities, just because I feel they make for more interesting images. Within that idea of ‘celebrity’, is there a commentary that comes with that? Is it a straight-forward celebration of these personalities, or a sort of critique of the cult and reverence of celebrity in today’s society? I quite like how not everyone is going to like the same celebrity. I quite like the conflict between that, where someone might say, I really like that piece of Scarlett Johansson, and then somebody might walk in and not like it at all, I quite like how it differentiates from other people’s perspectives, depending on their perception of that celebrity. What about the collusion between the chosen subject and the stylistic depiction? You’ve talked a lot about developing your own style, but is there also an attempt to infuse stylistic flourishes that relate to the figure you have selected to paint? Are they stencilled or freehand? Compared to where I started, with lots of random colours and stuff, I feel like I have refined my colour palette, I have also added acrylics, crayons, heaps of different media in the backgrounds. I just keep going until I’ve cut the stencils basically, and then I have a go at it and if I don’t like the background, I will just start again. What’s going to determine the success of this show for you? What’s the best outcome? Is it about selling works, or is it about going through the process and figuring out what it takes to put this type of thing together? I’m just pretty stoked that I’m able to do a solo show. I’m just happy that I’m giving it a go. It’s not really about selling works, it’s about people seeing my work. 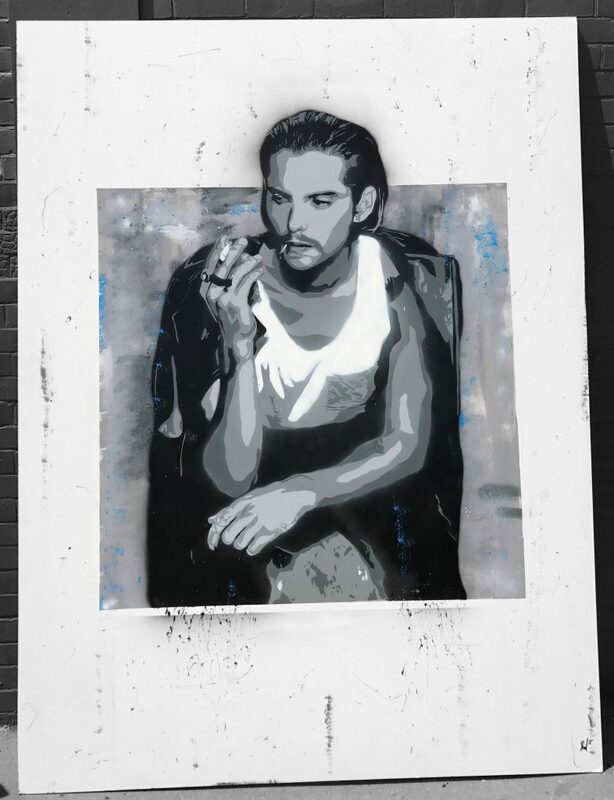 I always like to ask, because we’ve talked about the studio works and some of the commissioned murals, is there any desire to do any guerrilla street stuff? 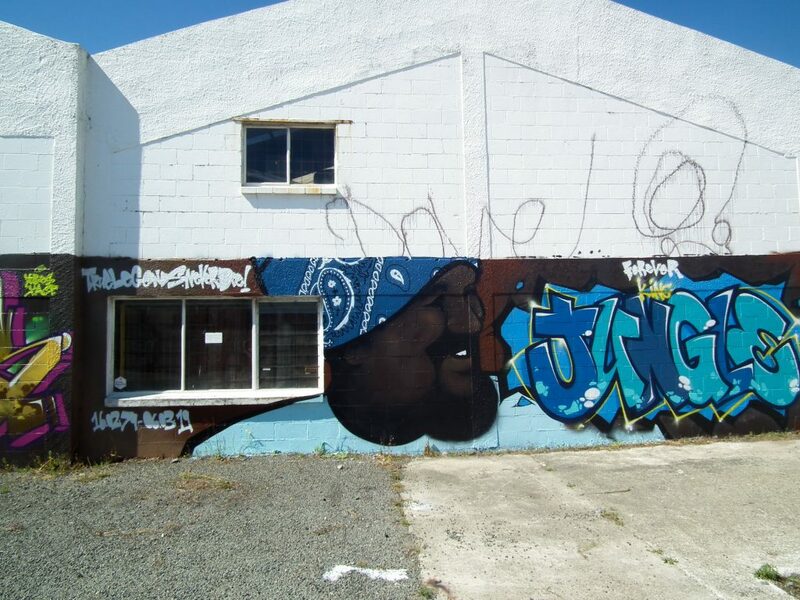 Leon Te Karu, also known as Jungle, was an absolute legend of Christchurch graffiti, and without his presence, the city’s culture would not be what it is today. As Ikarus confided in me, without him, there would be no Freak, no Dcypher, no Lurq, no Pest5, and no Ikarus. His influence is that important. 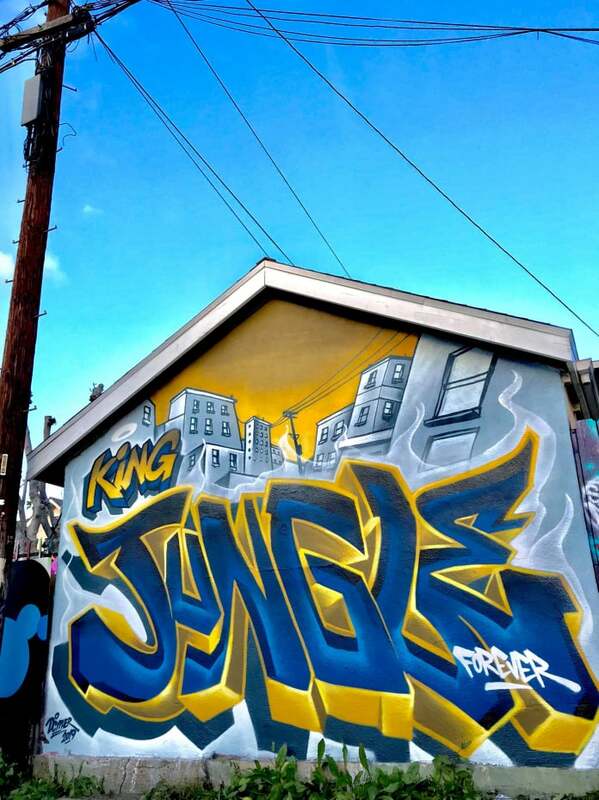 L.A.-based Dcypher noted that he had never met anyone who embodied their graffiti more than Jungle, an important acknowledgement in a culture built on a visual form becoming a signifier of one’s presence. 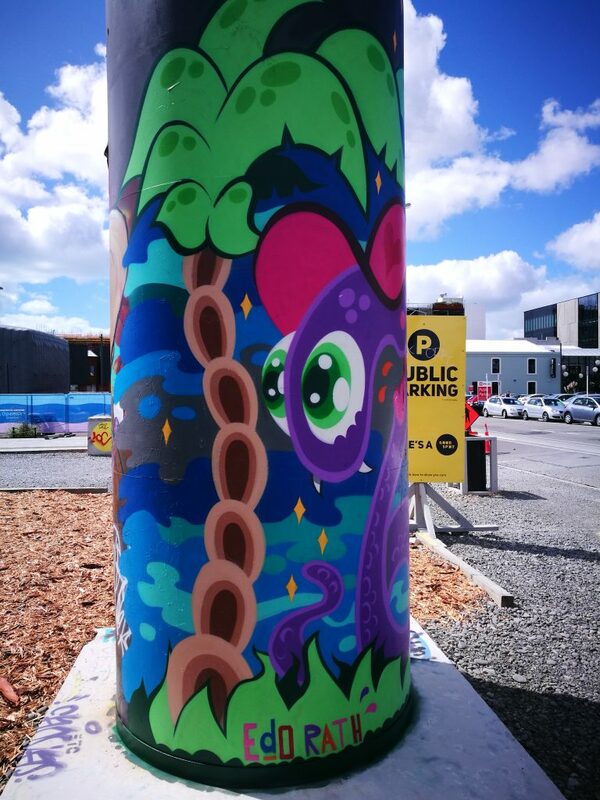 It is little surprise then that tributes to Jungle have appeared across the city, the country, and indeed, the globe, from Christchurch to Chile, paying respect and honouring a massive influence. 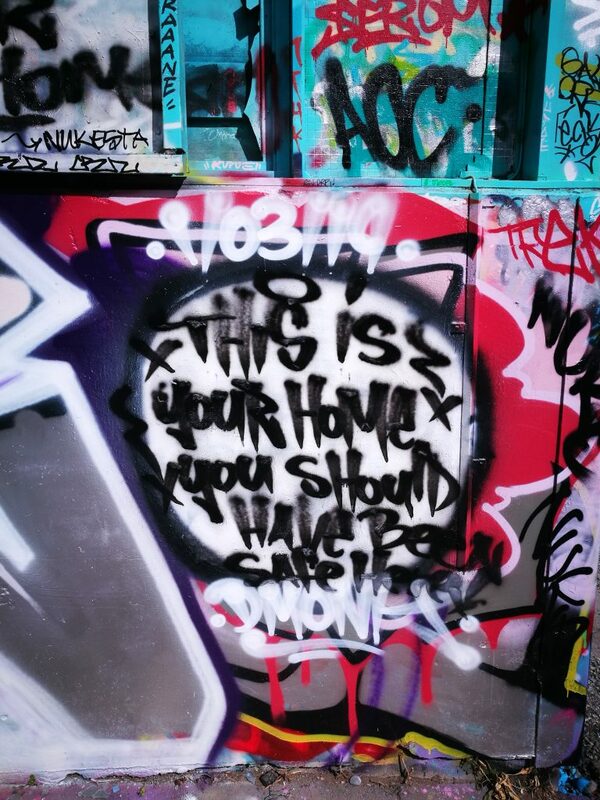 By the time of writing, the impact of the March 15th Terror Attacks had not manifested explicitly in the city’s urban art, but there were quickly messages of support, not just at memorial sites, but also as annotations of graffiti, highlighting the sense of solidarity the city was importantly trying to extend… The importance of public space as a site for communication was revealed once again. Will more responses appear as artists figure out the discussions these events have created? And importantly, what forms will they take? 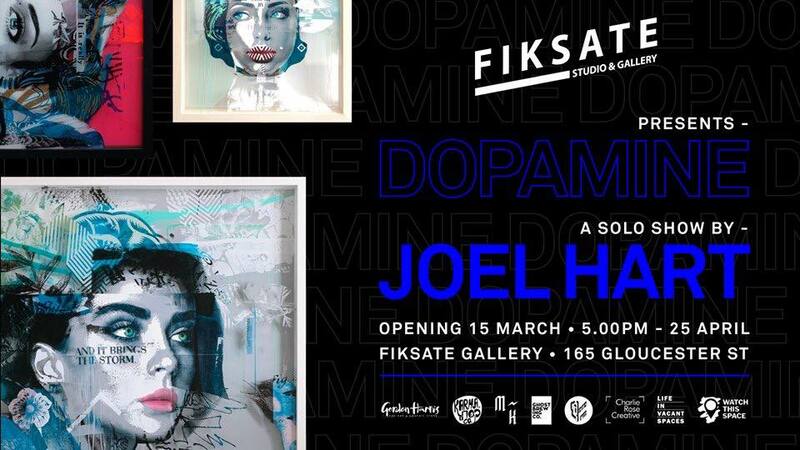 Another event impacted by the Terror Attacks, Joel Hart’s second ever solo show, Dopamine at Fiksate, was due to open that Friday. Understandably delayed, the show eventually opened a week later to a bumper crowd. Hart even ran a silent auction of a work on the night, with all proceeds going to a victim support charity. The show’s impressive collection of fascinating portraits and explorative use of materials such as copper and brass sheeting, mirror surfaces, light boxes and intricate hanging sculptural cut outs, as well as a diverse colour palette, have ensured its popularity, while also hinting at new directions for the artist.